As a user of electricity, you understand the needs for high power quality. If you suffer from low quality of power, you are vulnerable to financial losses. We offer you FREE analysis of your own measurement data. You can make the measurement yourself or hire someone to do it. We will make the analysis process. You can also send us a complete analysis for second opinion. If you are interested, we can provide you the full service (not available on every location) - make the measurement, analyze it and manage the implementation of the solution/s. 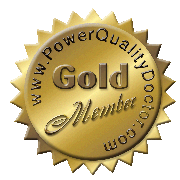 If you are experienced consultants in the field of power quality, either in measurement and/or analysis, you are welcome to join the PowerQualityDoctor.com initiative. Contact us to submit your application. If you join us, we will send you often power quality measurement data for FREE analysis and/or referring electricity users to you.